We take a look at United's opposition as they face West Ham in the Premier League, bringing you the latest betting tips and enhanced odds. 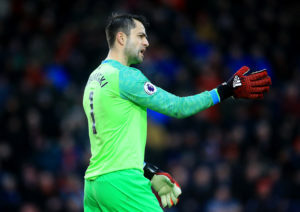 The goalkeeper position was a long-term problem for Arsenal a few years back, but perhaps they should have stuck with what they had as Polish duo Wojciech Szczesny and Lukasz Fabianski have since kicked on after leaving the club. The former is now Juve’s number one and rubbing shoulders with the likes of Cristiano Ronaldo, while the latter has been enjoying a terrific season for the Hammers since a summer switch from Swansea. No goalkeeper has made more than his 126 saves this season, with only Watford’s Ben Foster (106), United’s David de Gea (106) and Cardiff’s Neil Etheridge (114) also breaking the 100 barrier. He may not rank particularly high for clean sheets, but he’s been kept busy between the sticks and has earnt the Hammers numerous points this season. The ex-Fulham full-back was an important player for the Cottagers last term as they sought promotion, but while he’s broken into West Ham’s team, that has more to do with the ageing legs of veteran Pablo Zabaleta than classy performances of his own. Manuel Pellegrini likes his team to get forward in the wide areas and their attacks have concentrated slightly more down the right flank (40%) than the left (37%), but of course that leaves space in behind. Fredericks does possess a fair bit of pace that enables him to get out of trouble on occasion, but we have some pretty quick players and after struggling against Chelsea recently, he can be targeted on the counter. We’d fancy Anthony Martial in a one-on-one with him any day of the week. West Ham’s squad appears to contain plenty of firepower at a glance, but it hasn’t turned out that way in recent months for an assortment of reasons. Yes, they may have put four past Huddersfield recently, with a brace from Javier Hernandez, but Chicharito has consistently failed to deliver in the big games and all 11 of his goals or assists this term have come against teams either in the bottom half of the table or indeed lower down the football pyramid in cup competitions. Meanwhile, Felipe Anderson enjoyed a hot November and December but has failed to score in the league since then, while Marko Arnautovic’s failed push for a big-money move to China has only served to anger the fans – a discontent made all the worse by the Austrian’s inability to find the net since early January. Andriy Yarmolenko and Andy Carroll remain out injured, so it’s difficult to see them scoring all that many goals before the season is done.